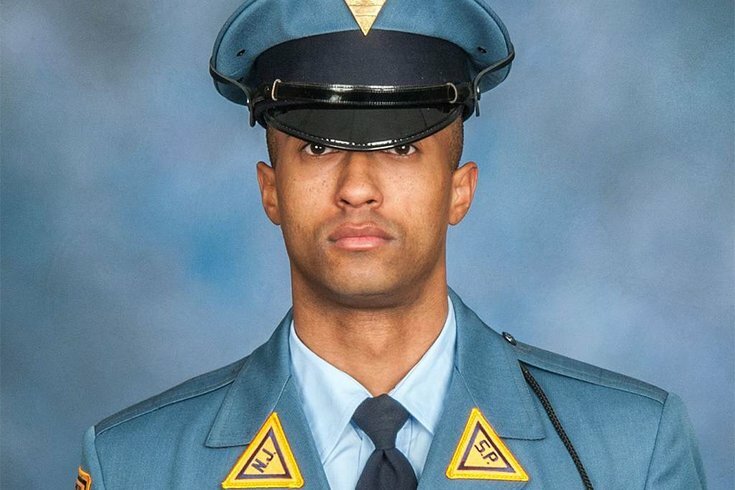 New Jersey State Trooper Frankie Williams was responding to a call when another car crossed the median of Route 55 and struck his police cruiser. Both Williams and the other driver died in the crash in Millville. The 61-year-old driver involved in the fatal head-on collision that killed both New Jersey State Trooper Frankie Williams and himself may have had a medical condition, a friend of the driver told CBSPhilly in an exclusive interview. The driver, Dr. Lloyd Rudley, of Elmer, had “suffered severe diabetes” for which he was recently hospitalized, according to the friend. Based on reports on the Dec. 5 crash, Williams, 31, was responding to a call for an erratic driver when the car he was pursuing, which apparently happened to be Rudley's, crossed a median on Route 55 in Millville and crashed head-on into his police cruiser. Rudley was pronounced dead at the scene. Williams was flown to Cooper University Hospital in Camden, where he later died. Williams, who lived in Atlantic County, was a member of the 156th State Police Class, which graduated Jan. 29, 2016, state police said on Facebook. He was assigned to Port Norris Station. An investigation into what caused the crash, including an autopsy performed on Rudley, is underway. Read the full story at CBSPhilly.